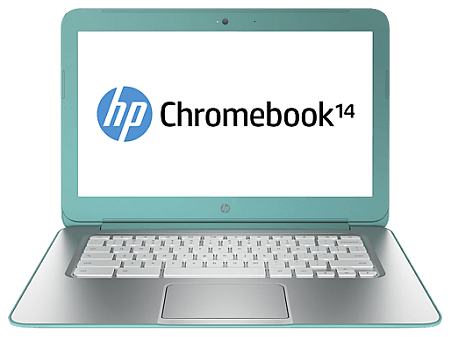 The Google Chromebook is going to be a popular item for the holiday season. And if you received one, you’ll definitely wan to make sure you keep it updated. 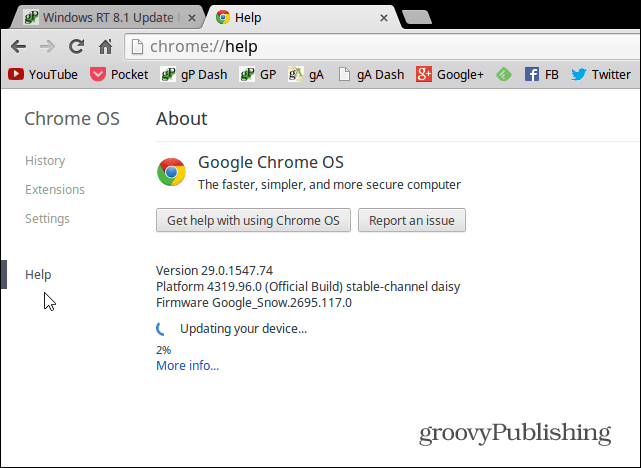 By default each time you turn on your Chromebook, the system automatically checks for updates and applies what it finds. But you might want to manually check more often. Note: For this article I’m using the Samsung Chromebook 303. If you have a newer one from a different manufacturer, the process might be slightly different. If you haven’t bought one, but would like to get a comparison, check out our article that compares the Samsung Chromebook 550, 303, and Acer C7. That article reviews last years models. Newer models from Acer and Samsung were released this year, as well as the much hyped HP Chromebook 14. 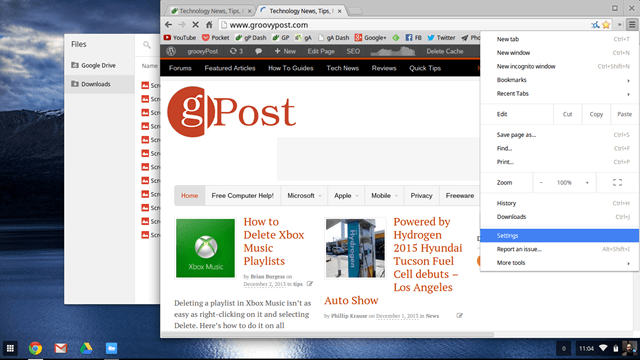 In the Chrome Browser, click the options menu in the upper right corner and choose Settings. Alternately, you can also click on the time and account picture in the lower right corner of the desktop and select Settings. Then select Help from the list on the right side of the screen. Then if there is an update available, it will be downloaded and installed. Here you can see the platform and firmware version is being updated. 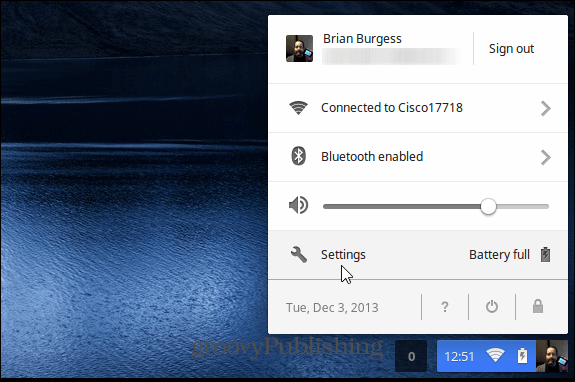 Depending on what the update it, your Chromebook will restart. Go back to the section above and you’ll see it was successfully updated. It’s also worth noting that you can select the Channel you want to update from. By default it’s set to the Stable Channel, which should be fine for most people and I recommend it unless you’re an experienced user. 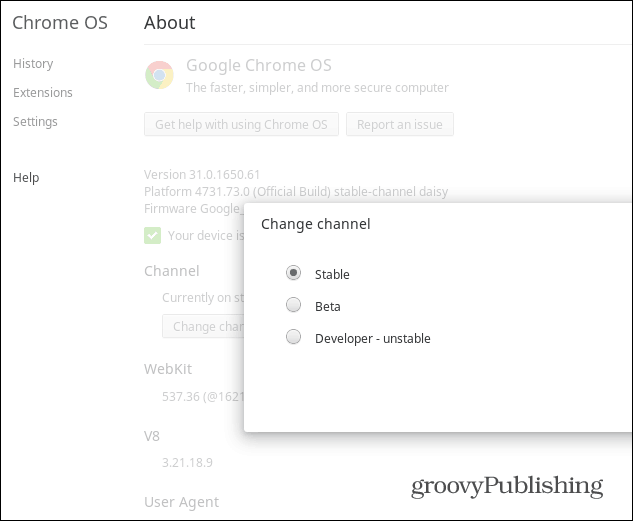 To find out more about the different Channels and what they are, check out a more in our previous article: Google Chrome Beta vs. Stable: Which One Should I Use? That’s all there is to updating your Chromebook. 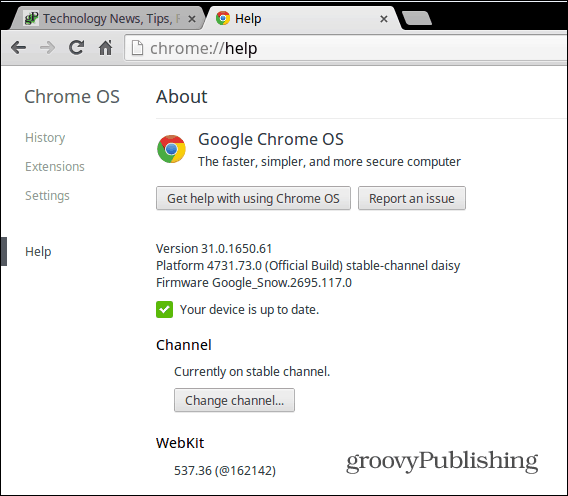 While the steps for updating it are virtually identical to the Chrome browser, remember that it’s updating the Chrome OS, not just the browser. Also, updates will differ depending on which device it’s running on. What’s your take? Do you have a Google Chromebook? What do you think about it and how do you use it? Leave a comment below and tell us about it! I really want a chromebook to play games. I like Pogo.Com and I need java to play. Does the chromebook have java or can it be downloaded? Also want to thank you for all the great email that you send out. I bought a chromebook last year, but Im stuck on OS ver 35, stable channel and it keeps saying I have the latest version, even if I change the channel. I wasn’t too bothered but now services like Netflix are refusing to work unless I have at least ver 37. So the chromebook is slowly becoming useless. Sent a report to google and I have yet to see a response. Ya same here, hate to have to buy a new note book when i am happy with this one but like you said more and more apps refuse to work with Google OS. so running out of options. If any one knows a way to update with out trashing this note book and getting a new one please let me know. Thank you.